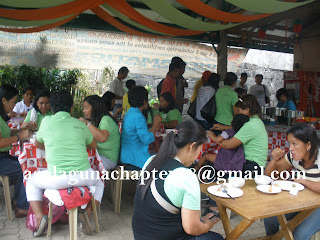 Twenty parents from 13 municipalities of Batangas visited the Autism Resource Center (ARC) of ASP Laguna chapter for an educational tour of the facilities last 22 March 2012. The parents were accompanied by Ms. Clariz Fetesio, the Head of NORFIL Batangas, an NGO which is very involved in community based rehabilitation (CBR) program for persons with disabilities in the province of Batangas. 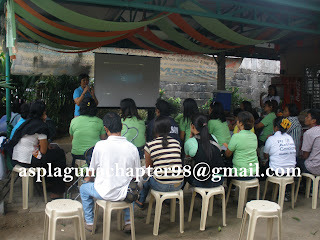 Ms. Fetesio was very inspired during her 2 previous visits to ARC, the first in Jan 2011 and the second in August 2011. 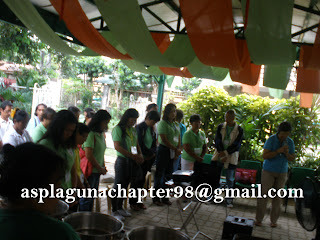 She then organized a tour to Los Baños so that the parents of AKAPIN Batangan can gain inspiration from the achievements of the chapter. She believes that parents should take steps to create programs for their growing children, who will soon outgrow the SPED programs in both private and public schools. The visitors were given an orientation of the Work, Live and Play program of ARC, a tour of the different work stations, and an open forum for their questions followed. The groups’ evaluation was overwhelmingly encouraging, with a sincere wish for the expansion of the facilities to have more space for the different work activities. We are inviting other interested groups working with persons with disabilities to visit our center so we can learn and share from our experiences. We are always open to welcome you. You can contact the ASP Laguna Chapter President Rizalinda Cansanay at (0918) 577-7940 or email at asplagunachapter98@gmail.com.